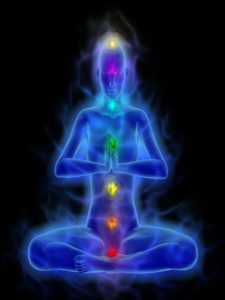 This post is to explain how True Quantum Healing can help you. It was created by Chris Kehler, who has been my mentor for the last few years. I absolutely love this way of healing and I am very passionate about it. My family and I and my clients have benefited greatly from it. People often ask me how True Quantum Healing works. Well, it works by identifying and removing what is causing disruption in your life, whether it is in your health, family, relationships or business. I do this through pendulum dowsing along with a series of charts and sacred geometry tools. For example, if you have an anxiety problem, I will use pendulum dowsing to identify where the anxiety is located within your body and I identify what is causing your anxiety. Then, I will use sacred geometry tools along with certain words and intent to remove the frequency of the problem. To understand in more detail how True Quantum Healing and the sacred geometry tools work, please check out my other blog posts. You may be wondering what True Quantum Healing can do for you. It can help anybody that is suffering with psychological, emotional, spiritual or physical problems. I am willing to work on any problems with anybody who needs my help. The beauty about True Quantum Healing is that it can be done long distance anywhere in the world over Skype, telephone or other media platforms. Please contact me if you have any questions or would like to discuss how True Quantum healing can help you. Please visit www.nicolakb.com to book a session. ← What is True Quantum Healing?